Moving to a new city is exciting. There are new eateries to check out. New options for nightlife. A range of different fitness activities and places to kick back and relax. Obviously, having a job is going to help with funding your new lifestyle and finding a job in a new city can be challenging. Here’s our step-by-step guide for finding a job that’s right for you in a brand new city. Get it sorted in advance or wing it? First up, you’ll need to decide whether to confirm a job before you get there, or wing it when you arrive. Obviously, there’s more risk involved with the latter. That doesn’t mean you should write it off, though. If you seek from afar you’ll have the problem of interviews. Yes, you can do Skype, but you won’t get to check out the business, and your new boss, in person. If you start looking for a job as soon as you arrive you’ll be better placed to feel out the situation, but you’ll need resources to push through until your first paycheck. You’ll know which option is better for your circumstances. Just remember landing a job often takes longer than you initially think. Been slogging it off in a corporate role? Reeling it in working a trade? Running an on the side freelance gig? Whatever you’ve been doing so far, now is the time to explore other options in your field. Think up as many jobs as you can in your field of expertise. You may be running low on cash so getting a job fast could be key. Expanding your horizons is the best way to do this. As a backup, you can always change jobs once you’ve got some pay coming in and your living setup is good to go. Before you spend a huge chunk of time job searching, hit up family and friends who live in the area, or know someone who does. Put the word out on social media. You could sort yourself a massive shortcut and start earning straight away. Hello, new-city necessity shopping! If you just want to make the move then think of this as a long game. Find some temp work or casual hours to keep you going. Contact a temp recruitment agency in the new city and let them do the work for you. Check out job sites and apply for a range of casual positions. Bar or cafe work is perfect for this. You don’t need too much experience and hospitality is the best way to make new friends. Start earning cash and meeting people straightaway. Once you’re a little more settled you can focus on something a little more permanent. If you’re seeking a job before you go then you’ll need to make sure that you’re super easy to interview. Include your Skype details on your job application and tell them you’re ready to make time to speak when it works for them. If you’re heading to the new place first, keep your schedule free to interview. If you want everything to move fast you should be good to go when the opportunities arise! If you’re looking before you move, having a local address will make a big difference. As soon as they see that you’re not local, you’re going to have to work a little bit harder for that job. If you don’t have a new address then make it clear on your cover letter that you are definitely moving. Provide a date if you can. If your intentions to move sound wishy-washy it’s not a good look. You want your potential new employer to feel confident you’ll be there soon, and for the long term. LinkedIn Groups have made it super easy to connect with professionals in the same industry and city as you. Most major metropolitan areas have these kinds of groups (e.g., Melbourne Accounting Professionals, or Sydney HR Professionals). Once you’ve joined a group, contribute to the chats, look for people working at companies that interest you, and get busy introducing yourself! Important note: If your current employees don’t know about your plans to move, you can hide the logos of these groups from your profile, in settings. Recruiters are always looking for fresh talent. If you’ve got awesome skills (which, of course, you do) in a particular sector, seek out a recruiter working in your industry, in your new town of interest. Even if they don’t have a job for you, they can probably give you the lay of the land for that job market. If you’re lucky, maybe you’re the person they’ve been waiting for! If you’re moving to a new city anyway, why not think about trying a new career? This could be a fantastic opportunity to check out something you’ve never tried before and create new, exciting goals for yourself. No matter what age you are or what you’ve done so far, changing your career is relatively easy. Employers in all fields are looking for people who are hard working, reliable and willing to learn. Heading into a new career could set you up with a better work-life balance, improve your outlook on life and increase your motivation every morning you wake up and think about the day ahead. Save yourself a step and sign-up for email alerts to receive notifications about new jobs that match your criteria in your new city. Get job postings straight to your inbox so you’re always updated on the latest jobs that fit your profile. It’s the smart way to search AND you’ll be one of the first applicants for the jobs you’re super keen on. 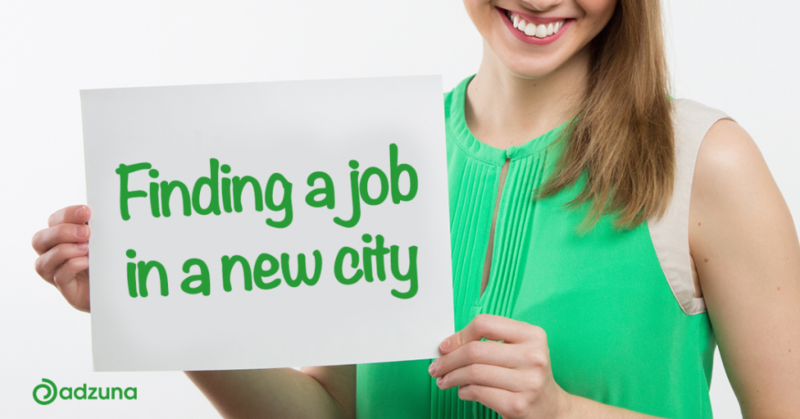 So there you have it… A list of tips to help you nab a brilliant job in your new city. Now’s the time to take a risk and make the most of your adventure! Put yourself out there, be willing to fail and reach out to make new connections. Before you know it you’ll be cruising around your new locale, proud of yourself for making the move. Ready to kickstart your job search! Type in your new city here and get looking! Ready to start applying? Check out our best resume tips here. 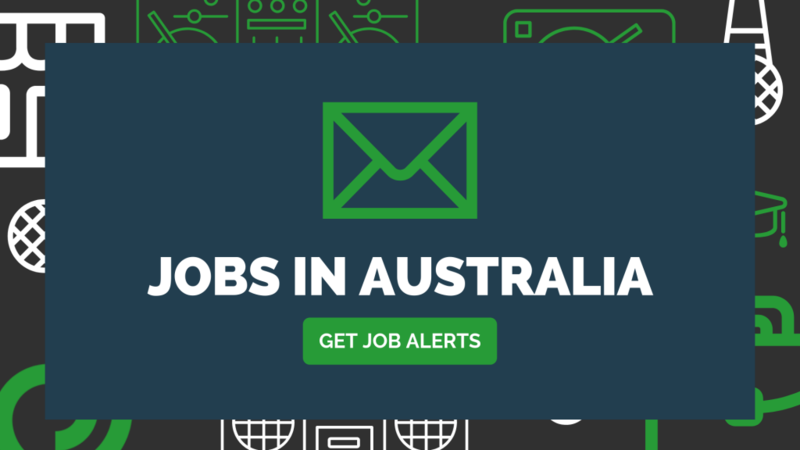 Tagged under: adzuna,	employment in Australia,	featured,	job hunting,	job in sydney,	job search,	Jobs,	recruitment.